Christine Platt provides a Bible Cove to Cover study guide of Acts 13-28 that features 7 sessions for small groups or individual use. The study guide provides a resource to gain new depth in Bible knowledge and way to apply Gods word to everyday life. following Paul's three missionary journeys and his co-workers as they reach out to Gentiles as well as Jews. 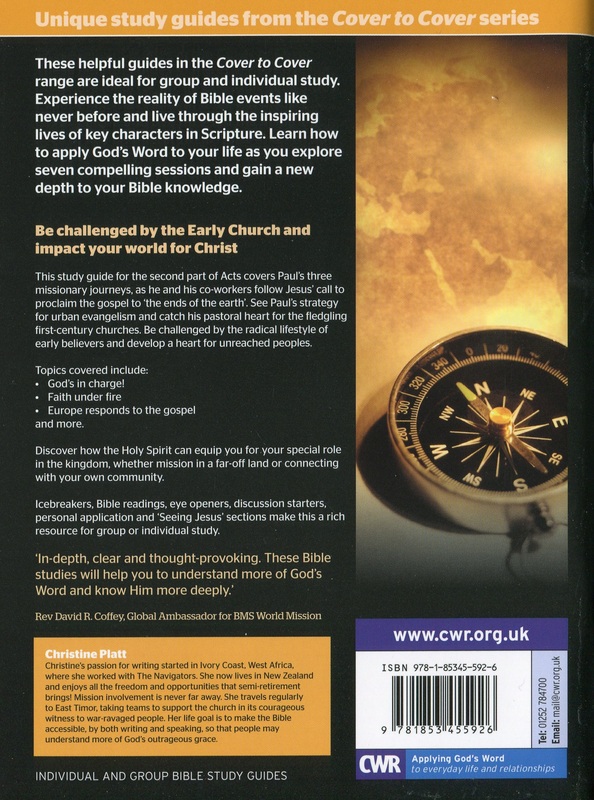 Cover To Cover Bible Study Acts 13-28 by Christine Platt was published by CWR in April 2011 and is our 10697th best seller. The ISBN for Cover To Cover Bible Study Acts 13-28 is 9781853455926. 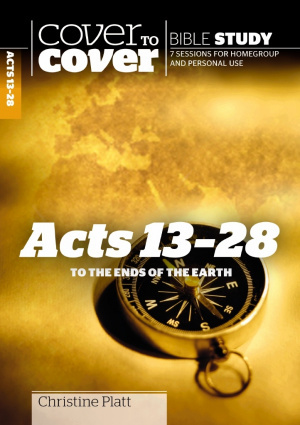 Be the first to review Cover To Cover Bible Study Acts 13-28! Got a question? No problem! Just click here to ask us about Cover To Cover Bible Study Acts 13-28.